Stephan Alfred has considerable experience in serious criminal cases. He has established a busy defence practice, specialising primarily in financial crime and cases at the more serious end of the criminal spectrum. He is instructed to defend in very significant Customs and SFO prosecutions and undertakes work that crosses into the civil jurisdiction, including cash forfeiture proceedings and applications for Certificates of Inadequacy in the Queen’s Bench division of the High Court. Outside of financial crime, Stephan has considerable experience in a wide range of serious and organised crime cases, including gang related violence, murder, firearms, people trafficking and large-scale drugs importation. Stephan is a very accomplished jury advocate and often acts as leading counsel. He is currently defending in a case described as the largest ever direct tax prosecution brought by the Crown Prosecution Service on behalf of HMRC. Bilingual in English and French and authorised to accept Public Access instructions. Stephan has acted as leading counsel in some of the most serious cases of organised money laundering (both on and offshore), drug related crime and gang-related violence including attempted murder. His practice areas also include firearms offences, people trafficking and serious offences under the Theft Act including robbery. Stephan’s work is now almost exclusively for the defence. He is an experienced advocate who is tactically adept and accustomed to dealing with large-scale disclosure exercises. Stephan has an established reputation as a busy Junior instructed in cases of the most serious and complex fraud. His practice areas include large-scale cheats on the Revenue, election fraud, banking fraud, sophisticated duty evasion, data protection related fraud and advance fee fraud. Stephan provides specialist representation and advice in high-end cases, often from the very early stages of an investigation. 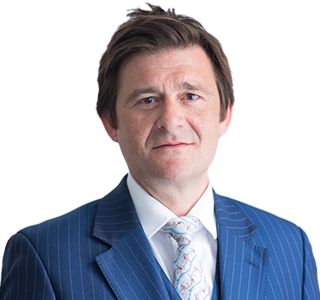 As a natural consequence of his busy fraud practice, Stephan is well experienced in Proceeds of Crime Act proceedings including, primarily, confiscation and restraint. He is also experienced in both forfeiture proceedings and High Court applications for Certificates of Inadequacy. R v. Richard Hill and others – (Operation Eaglewood) Drugs and Money Laundering. Leading Counsel. Also known as R v Iktilat and others. This was the largest case prosecuted by the CPS Special Casework Division London, involving over thirty defendants, including Simon Ford, a fireman commended for his actions on 7/7, who pleaded guilty to possession with intent to supply of 100 kg of cocaine. Significant press interest and one of the biggest money laundering and drugs prosecutions ever brought on UK soil. One of a series of highly professional, large-scale importations of high purity, high volume cocaine into the United Kingdom. The case involved complex scientific evidence and sensitive disclosure issues. Defendant accused of money laundering the considerable proceeds of her convicted “contract killer” husband. R v. Sivaneswaran and others – Attempted Murder. Leading Counsel. 3½-month Tamil gangland attempted murder trial. The case involved complicated issues of disclosure regarding a prosecution informant. R v. R and others [Operation Amazon] – Tax Fraud. HMRC’s largest flag ship prosecution of an alleged conspiracy to cheat the Revenue. This vast and technically complex case focuses on the operation of a carbon-friendly investment scheme designed to promote and generate to trade in Carbon Emission Reduction Certificates under the Kyoto Protocol and UK Legislation. The case is notable for its complex digital disclosure history which resulted in an important leading authority on digital disclosure and abuse of process principles: R.v R and ors (Practice Note)  1 WLR 1872. The first case of its kind, this Serious Organised Crime Agency (SOCA, now the National Crime Agency or NCA) case alleged fraud against a number of private investigators who obtained confidential information (banking, telephone etc) by false representation. Abuse of process argument relating to decision to prosecute under the Fraud Act rather than the Data Protection Act. Intense press interest including the BBC, and major broadsheets, not least because of the then current debate, including the Leveson enquiry, relating to the use of private investigators by News International. This investigation gave rise to SOCA’s highly publicised “secret list” of high profile individuals and well known institutions who were, at one point, suspected of having used the services of such private investigators. Sophisticated multi-million pound conspiracy to defraud an invoice discounting company. The money was then laundered using a complex web of off-shore companies and banks and recycled back into the UK through a number of sham companies. Significant case due to the co-accused’s previous multi-million pound High Court proceedings which pitted him against heavyweights Microsoft. A large-scale duty evasion case spanning years and involving a sophisticated, complex and multi-million pound conspiracy to import alcohol into the UK.